Most D.C. Circulator buses have free Wi-Fi and officials in the nation's capital say even more of the red buses will have it in the future. The District Department of Public Transportation says most of the buses in the Circulator fleet are equipped with free public Wi-Fi, which will be standard on all future Circulator bus purchases. WTOP-FM reported Tuesday that the majority of Circulator buses already include USB ports and dual-screen digital displays. DDOT Director Jeff Marootian says integrating Wi-Fi into the amenity offerings on their vehicles is a crucial step forward in delivering transit services that meet riders' expectations in a digitally connected world. 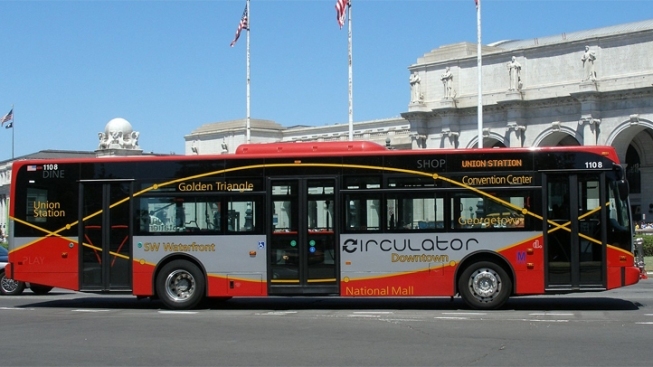 The Circulator system carried about 5 million riders across all of its six routes last year.